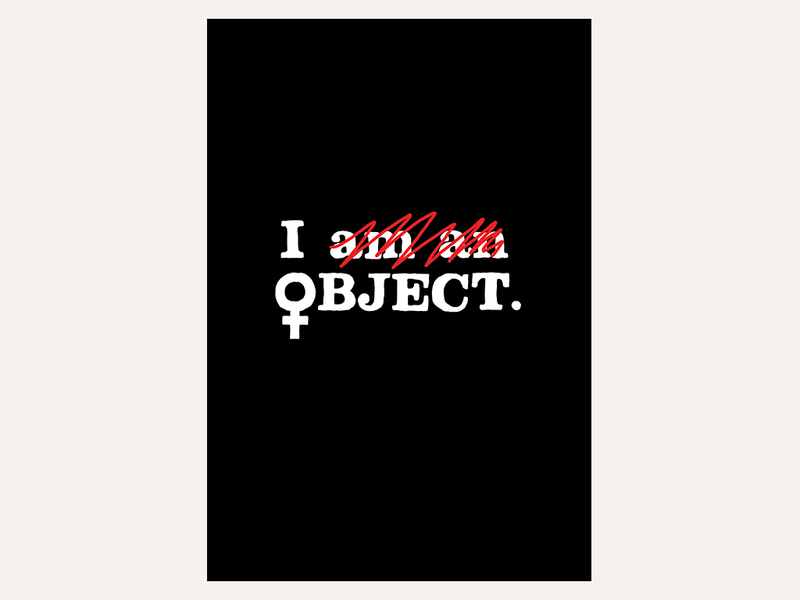 This poster is an active rejection of the sexual violence and objectification towards female identifying people. It was chosen to be a part of the Amplifier Foundation's collection, a nonprofit that initially organized the art for the Women's March and has extended into many political movements. The poster has toured nationally with the Hear Our Voice exhibition, from the Asheville Art Museum, to the Center on Contemporary Art in Seattle, to the Women's Convention in Detroit and the Women's March anniversary in Las Vegas. It has been featured in Teen Vogue, as well as in ﻿Adobe Create, and is available for download on Amplifier. It was also recreated by many during the second Women's March of 2018.